Leslie Moonves, the chief executive of CBS, did not address misconduct allegations against him during the company's earnings call on Thursday, his first opportunity to speak publicly since the allegations were first made public. "In light of pending litigation and other matters, and on the advice of counsel, the scope of today's call and any questions will be limited to the quarterly results of the company," said Adam Townsend, head of investor relations at CBS, during the call. Moonves did speak on the call but concentrated on the financials of the company and its new projects during his opening statements. The first few questions from analysts centered on the business of the company and did not touch on the allegations. Moonves is facing an investigation after the New Yorker magazine published a story last Friday detailing accounts by six women accusing him of sexual misconduct spanning three decades. The allegations include complaints of forced kissing, unwanted sexual advances and career retaliation against women who rebuffed him. CBS' board will keep Moonves in his job while two outside law firms investigate the complaints. Moonves is expected to face questions from analysts during an earning conference call Thursday. CBS reported results from the April-to-June quarter. Moonves joined CBS in 1995 and quickly climbed the ranks, becoming CEO of CBS Television in 1998 and CEO of the newly created CBS Corp. in 2006 after its split from Viacom. He revived the company with hit shows like "NCIS" and "The Big Bang Theory." CBS' upcoming lineup for the fall season, when the networks debut their high-profile shows, has a mix of renewed hits and reboots, including new versions of "Murphy Brown" and "Magnum P.I." and renewals of "The Big Bang Theory" and its spinoff "Young Sheldon." CBS said late Wednesday that it has hired two high-profile law firms to investigate the sexual-misconduct claims. Both teams will be led by women. Covington & Burling's investigation will be led by Nancy Kestenbaum, who has led independent investigations of sexual misconduct for private schools Choate Rosemary Hall and The Brearley School. Debevoise & Plimpton's investigation will be led by Mary Jo White, former chairwoman of the U.S. Securities and Exchange Commission. 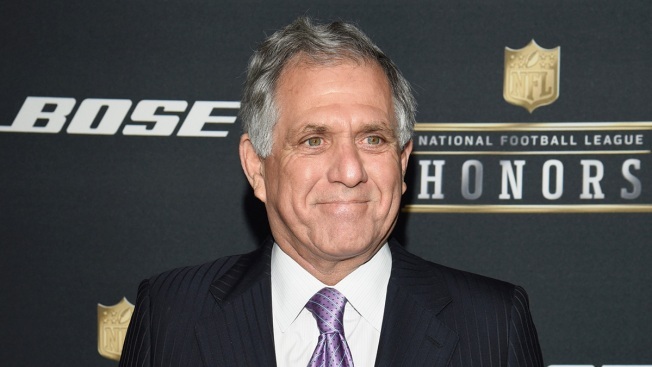 Meanwhile, The Los Angeles Times reported Thursday that CBS board members knew several months ago of an investigation by police in Los Angeles into allegations that Moonves had assaulted a woman three decades ago when they both worked at TV studio Lorimar Productions. No charges were filed, but Moonves revealed the existence of the investigation to a board committee, which hired a law firm to investigate, according to the Times, which cited two unnamed people familiar with the matter. CBS didn't immediately return messages for comment. As the future of CBS' leadership comes into question, CBS is also locked in a court battle with its parent company, National Amusements, which also owns Viacom. CBS fears that the head of National Amusements, Shari Redstone, will try to combine CBS and Viacom. Under Moonves, CBS has resisted because CBS is more profitable and Viacom networks such as Nickelodeon struggle with viewership. CBS has sought to implement a special dividend to reduce National Amusements' control of the company. Redstone is challenging that in a Delaware court. CBS is facing an industry roiled by consolidation. Media companies are combining to better compete against fast-growing internet companies like Netflix and Amazon. AT&T bought Time Warner for $85 billion in June and Disney is in the process of buying Fox's entertainment businesses for $71 billion. As more people skip traditional cable subscriptions to watch TV online, CBS has pushed into streaming more aggressively than other networks. CBS launched its own service rather than providing shows to outside streaming services such as Netflix or Hulu. It has some shows that are exclusive to the $6-a-month CBS All Access, including "Big Brother: Over the Top"; "The Good Fight," a spinoff of its hit law procedural "The Good Wife"; and "Star Trek: Discovery." Last quarter, CBS said CBS All Access and Showtime streaming services combined had 5.3 million subscriptions, on track to exceed CBS' goal of 8 million U.S. subscriptions by 2020. The services continue to "gain momentum," Bernstein analyst Todd Juenger said in a note to clients.